Turns out those infuriating ticket fees may not be legal after all: Millions of Ticketmaster customers are receiving free tickets to events and concerts thanks to a class action lawsuit filed over a decade ago. Last April, the website settled Schlesinger v. Ticketmaster, a class action brought in 2003 that claimed Ticketmaster was charging deceptive and misleading fees. 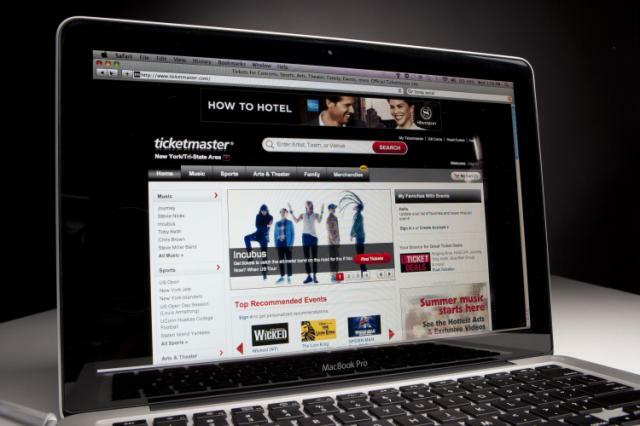 Ticketmaster will pay out $45 million worth of cash, discounts, and tickets to customers eligible under the settlement despite denying the claims and litigating the case for over ten years. The settlement website stipulates that eligible class members who purchased tickets on ticketmaster.com between October 21, 1999 and February 27, 2013 should have received at least one ticket code by now in their Ticketmaster account, which can be redeemed for general admission tickets to certain Live Nation events. Ticketmaster will list applicable events online, and tickets to the events will be available on a first-come, first-serve basis. Make sure to check your account: According to the settlement website, if at least $10.5 million worth of tickets have not been redeemed in a year, then Ticketmaster will make more free tickets available. According to the site, claimants will receive one voucher per transaction they made on the site during the eligibility time frame, up to 17 discounts. As of Monday morning at 9:45 ET, Live Nation had no events listed as eligible for the discount.